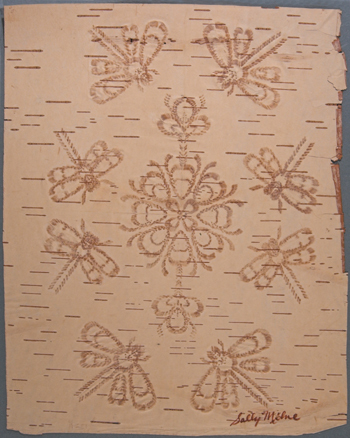 Birch bark biting has been done by women in many Aboriginal communities in Canada for centuries. The maker uses thin pieces of birch bark to create wonderful designs by folding the bark and biting in strategic locations. The key is being able to visualize the end result while the bark is still folded, because the design is only revealed once it is unfolded.